Back in July, I wrote about the first of the science-fiction “Big 3” (Arthur C. Clarke). As I noted then, I primarily chose to begin with Clarke due to his having authored a short story, The Nine Billion Names of God. 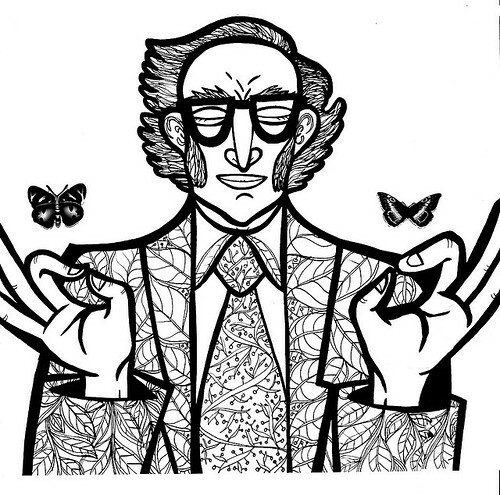 I don’t really have any reason to go with Asimov next other than it seems like a good time to cover him. Isaac Asimov was an American author and professor of biochemistry at Boston University, best known for his works of science fiction and for his popular science books. Asimov was one of the most prolific writers of all time, having written or edited more than 500 books and an estimated 90,000 letters and postcards. His books have been published in nine out of ten major categories of the Dewey Decimal Classification. Asimov is widely considered a master of hard science fiction and, along with Robert A. Heinlein and Arthur C. Clarke, he was considered one of the “Big Three” science fiction writers during his lifetime. Asimov’s most famous work is the Foundation Series; his other major series are the Galactic Empire series and the Robot series. The Galactic Empire novels are explicitly set in earlier history of the same fictional universe as the Foundation Series. Later, beginning with Foundation’s Edge, he linked this distant future to the Robot and Spacer stories, creating a unified “future history” for his stories much like those pioneered by Robert A. Heinlein and previously produced by Cordwainer Smith and Poul Anderson. He wrote hundreds of short stories, including the social science fiction “Nightfall”, which in 1964 was voted by the Science Fiction Writers of America the best short science fiction story of all time. Asimov wrote the Lucky Starr series of juvenile science-fiction novels using the pen name Paul French. I am most familiar with three of Asimov’s sci-fi series; the aforementioned Robots, The Galactic Empire, and Foundation. I especially enjoyed how in his later Foundation books, he tied everything together. Paul Krugman has stated that the original Foundation series and Asimov’s concept of psychohistory that inspired him to become an economist. Think of that for a moment. And even if he did not publish officially in the Dewey Decimal category of “philosophy,” can anyone doubt that he had a philosophical impact through his writings?